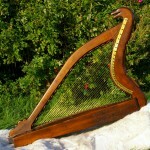 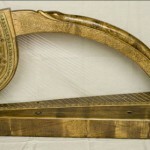 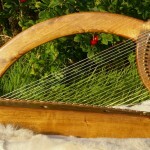 This kind of harp is the oldest harp in Ireland. 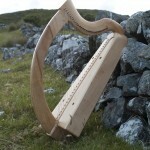 Its beautiful bell-like sound was pleasing Gaelic chieftains’ ears since early Middle Ages upto the end of the 18th century, when alas the chieftains were finally replaced by foreign landlords and the noble instrument got replaced by a harp, the prototype of which came to Ireland from the continent. 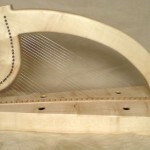 Most of Ériú Harps wire strung models are based on extant instruments kept in the museums of Ireland and Scotland. 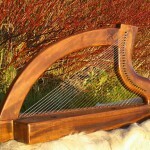 They all are made out of native Irish timbers, locally sourced when possible and strung with hand drawn strings.